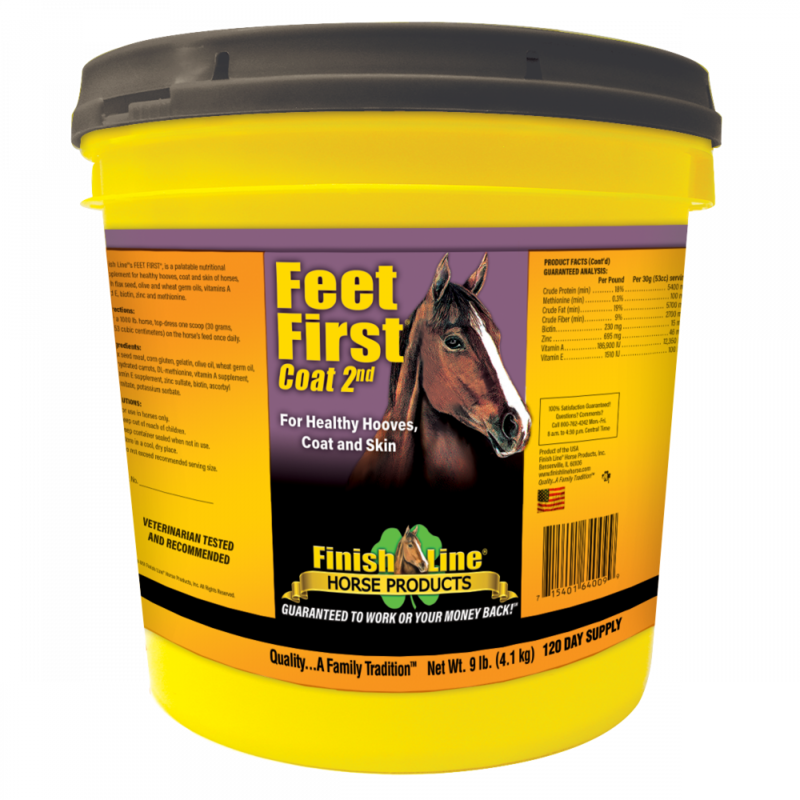 Developed over a two-year span with the help of veterinarians, blacksmiths and trainers, Feet First® is guaranteed to work! Feet First® is a cost-effective feed supplement for healthier hooves, coat, and skin. 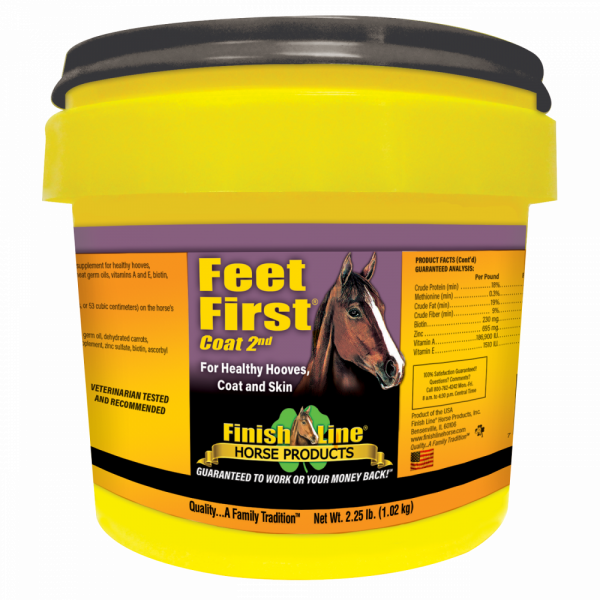 This supplement has the best fatty acid sources… and your horses will love the taste! 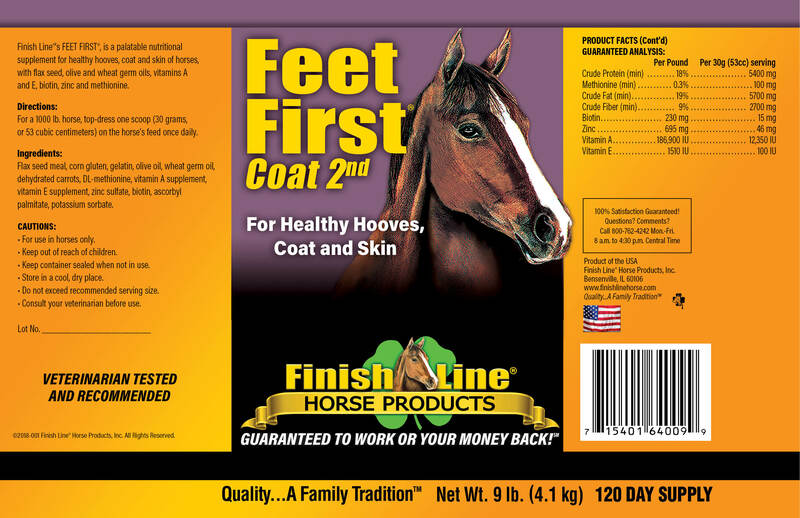 This is the most amazing product that I have EVER found for sound and healthy hooves and an incredible coat for my horse. I am constantly getting compliments on his coat and my farrier scolds me if I accidently run out of my Feet First. He does not have hoof problems but my farrier notices a difference in Winston’s hoof wall if I take him off of Feet First (I only did that twice…NEVER again!). I get my feet first at S&S Feed in Oregonia, Ohio…..Thanks Neil and David for keep me supplied with all my Finish Line products! !